Don’t miss watching this video, the sixth of the 9-video series! This video is a ‘must watch’ because Theuns Henning (IDS CEO) and David Fraser (IDS Board Chairperson) reveal the factors and strengths of the IDS model that have assisted in enabling successful infrastructure asset management in New Zealand. See and listen to Theuns and David give case examples and further details of the success factors they mentioned in the video. If you’re finding difficulty in linking infrastructure investment needs to desired levels of service, which is critical to asset management, watch Theuns narrate how they were able to achieve this using the Deighton tool. David explains further by citing his experience working with Hastings District in New Zealand. Theuns and David talk about the strength of the tool IDS is using, which among other factors, enable infrastructure asset managers to see the future consequences of the decisions they are making today. 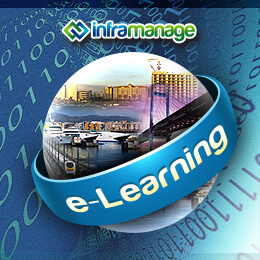 CLICK on the play button now to watch the very interesting infrastructure asset management learning shared in this IDS project video series. Good morning. 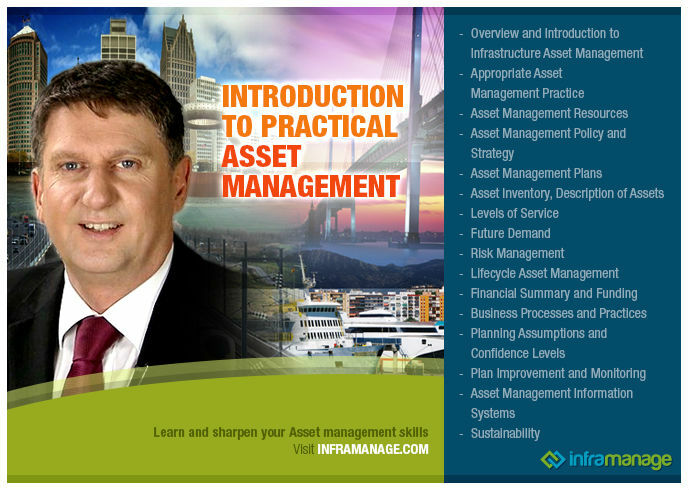 It’s Ross Waugh here from Inframanage.com and we continue our video series on Infrastructure Decision Support, one of the hidden success stories of New Zealand asset management over the last 20 years. I’m here with David Fraser and Theuns Henning. And IDS and its predecessor RIMS, this project has been running for 18 years. And over that 18 years, there’s been some key success factors that have dropped out of the project. We thought that it would be very useful to you our audience just for those key success factors to be described in a bit of detail. So Theuns if you could just lead us on that and take us through those success factors. Theuns: Thank you Ross. I think foremost is the ability to link our investment needs to a specific level of service. It’s perhaps the pinnacle in asset management. The ultimate decision in terms of what you deliver to your community lies with the politicians. Our job as asset managers are to tell them what the cost will be, now and in the long term. In terms of achieving the level of service, perhaps they want to look at cost savings on the network. You can then turn that question around and tell them if you want to reduce cost, this is ultimately what your network long-term will look like. David: Yes Ross, it’s actually one of the key things we did in Hastings District when I used to work with them. And that was we actually took the optimal program in terms of our current investment. We then squeezed the investment term down and so what happens to the condition of the network and then we also threw some more money at the network and saw what happened if we threw more money at it. And the interesting thing is we’re able to show quite clearly that if we pushed our investment too low then the network would deteriorate quite rapidly. But when we, conversely, when we threw more money on it, we got no real gain. So we were able to optimize in front of the politicians, the best investment for a long term. Ross: So that was in terms of running different modeling scenarios? David: It was running different scenarios but mainly in terms of the… in that particular case, varying the financial side, not the condition. Theuns: The level of service connected to the financial investment is, of course, the primary aspect we deal with on the day to day basis. Something that we often neglect or perhaps forget about, is the underlying risk behind certain investment strategies or maintenance strategies. In that sense I think one of our great success factors was that ability to start looking at risk profiles for local councils and for the state highways much more intensively. We even have some probabilistic models that help us to quantify the outcome, the risk outcome or risk profile for different investment levels. Ross: And just because I have been involved in the industry right through that period, our understanding in New Zealand of risk as a result of this modeling processes has changed quite a lot, hasn’t it? Theuns: Absolutely. The interesting technical aspect that came to light is that what we see on the road is often misleading or perhaps does not give us the full picture in terms of the underlying risk behind that pavement performance. So we found that physical defects and signs on the road pavement forecast a rapid failure or accelerated failure only in 30 percent of the cases. So through appropriate use of data, through the modeling process, you get a far better idea of the pavements that’s going to be a problem tomorrow or maybe a year or two from now. David: I think that’s one of the strengths of the whole tool we have. And that is, we work with a.. particularly with roads, we work with a product that has quite a lag time between the decision we make today and the consequence. And the consequences can be both negative and positive. And the beauty of this tool is that it enables us to see what the consequences are from decisions we make today well into the future. And that’s an incredible strength that we’ve never had previously. Ross: It’s certainly is and I’ll take you back to the big recession we had in New Zealand in the late 80s and early 90s where we didn’t have that tool available and we were cutting a lot of expenditure out of budgets just because there’s no money and we couldn’t see what it did to us. But we certainly saw what it did to us on the ground about a decade later. And there was a huge catch up there. Theuns, just picking up on one of the things you said in the last video as well, is one of the successes of the whole process has been focusing data, focusing different ways of capturing data to get more out of the models. Theuns: That is correct Ross. The models obviously require some variables that explain the changes over time. And often those variables, when they are missing, the predictive power of the model reduces. So in the process of determining the critical data items, the robustness of the forecasting is increasing. And as a side issue, the authority just has better data that they can report on over the long term monitoring trends. So collectively the model and the data collection has become a very important technical partnership of giving the authority so much more information to base their decisions on. Ross: So just that snapshot of some of the successes that came over in the last 18 years of the IDS project. So if you wanting to see additional information on the internet, just have a look at ids.org.nz where I know they’re going to be case studies and further information about these success stories if you’re wanting to take a bit more detail.